Board certified Family and Geriatric Medicine Physician specializing in Functional Medicine. Medically Fit & Balanced. 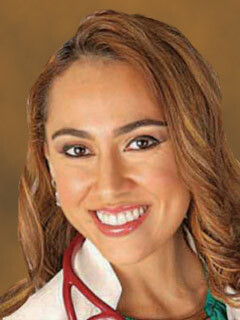 Claudia Marcelo, D.O., a board certified Family and Geriatric Medicine Physician, is the founder and director of Medically Fit & Balanced, where she practices Integrative and Anti-Aging Medicine. Proper nutrition and exercise are the foundations of her practice. Using a holistic, patient-centered approach, she empowers patients with tools for a healthier lifestyle that can prevent chronic medical diseases by treating the underlying causes of illness.